The internet has changed almost every aspect of our lives, and definitely the world of music - how it is consumed, delivered and also how it is created. At this point, most of us can't even fathom a world without it. 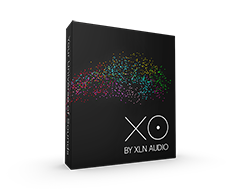 At XLN Audio we want to take advantage of the possibilities it offers, and try to come up with great functionality that really adds benefits to our product lines. Installation: our Online Installer system connects to your account and downloads and installs all your XLN products in one go. No more manufacturing or shipping of DVDs. Faster, smarter, greener. MyCloud: with Addictive Drums 2 and Addictive Keys we include cloud storage of all your presets and memos. One benefit is backup (get a new computer, connect, and all your user stuff is re-created), another is that it enables you to access your user files across all your computers (record a memo at home, continue working on it in the studio). This one probably causes the most heated debate! Many claim the risks are hugely exaggerated if you just use common sense (don't download strange files from unknown places, don't go to shady web sites), while the fine makers of Anti-Virus software claim you are at risk by just looking at your computer. As usual, the truth is probably somewhere in between. First, viruses are more prevalent on Windows computers, but that may slowly be changing as Apple gains more market share. In any case, there are antivirus solutions out there who should keep you safe, many of them free (like AVG or Microsoft's own Security Essentials). Btw, many people say to stay away from Norton's products - if you're having issues with that, try something else. Finally, a router with a firewall is always good, as is password protected Wifi. XLN Audio going online, and not looking back! As a company, it becomes increasingly difficult for us to support two very different paths of development; online and offline. We decided to focus on the online path, because we truly believe it is the way of the future and because it provides great benefits for a vast majority of our users.